Whenever I think of concepts such as the revival series or premature cancellation, you must associate these concepts to Firefly. This SF western TV series was cancelled by FOX only after 11 episodes broadcasted. Fans pushed production of Serenity (follow up film) to make the story clear and that was all from Nathan Fillion as Malcolm Mal Reynolds and his space ship Serenity. 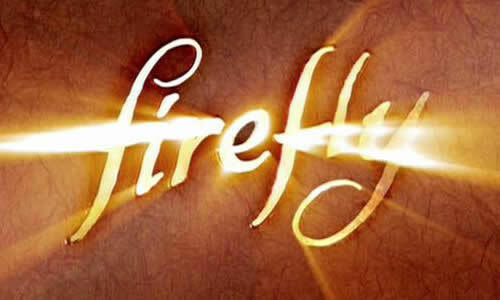 Firefly is made by Joss Whedon, creator of high quality lol show Buffy the Vampire Slayer and looks like mix of Wild West, China and Battlestar Galactica. Firefly won the following awards: Emmy Award: Outstanding Special Visual Effects for a Series, 2003; Visual Effects Society: Best visual effects in a television series, 2003 (episode Serenity); Saturn Award: Cinescape Genre Face of the Future Award, Male, 2003 (Nathan Fillion), Saturn Award: Saturn Award for Best DVD Release (television), 2004; SyFy Genre Awards: Best Series/Television, 2006; SyFy Genre Awards: Best Actor/Television Nathan Fillion, 2006; SyFy Genre Awards: Best Supporting Actor/Television Adam Baldwin, 2006; SyFy Genre Awards: Best Special Guest/Television Christina Hendricks for Trash, 2006; SyFy Genre Awards: Best Episode/Television Trash, 2006; Firefly is called SF although the technology is completely ignored in this series, so from this side you should not have any expectations if you are the serious SF fan. But most important thing, there are no aliens?! and as result this is not SF but only western series in some galaxy far, far away. So, why to watch Firefly? You should not. anonymous: "all have to see this one just so that one can say he/she saw western in space. other than that, no much reason to see it at all. " Solve this complex math: 7 + 10 = ?